The band, who have been working on the release for many months, gave Songs Of Innocence to around half a billion iTunes music store users as well as subscribers to their website. They were appearing at an Apple product launch in California when the announcement was made, one of many collaborations between the band and the technology firm over the years. Speaking about the album to Rolling Stone magazine, frontman Bono said: "We wanted to make a very personal album. Let's try to figure out why we wanted to be in a band, the relationships around the band, our friendships, our lovers, our family." U2's last release No Line On The Horizon came out in February 2009. The 11-track album will be given an official release on October 13 as they return to their original record label Island Records, after a number of years on Mercury. The new record, produced by Danger Mouse with Paul Epworth, Ryan Tedder, Declan Gaffney and Flood, is billed as an exploration of U2's influences from the 1970s and 80s. The news, which follows much speculation over whether the band would release an album this year, comes after Beyonce dropped her self-titled LP as a surprise on iTunes last December and it became one of the top-selling albums of 2014. Other acts who have used unusual launch strategies for their albums include The Charlatans who gave away one of their releases, Radiohead who offered a pay-what-you-want approach for In Rainbows and Prince who has allowed CDs to be given away with newspapers. 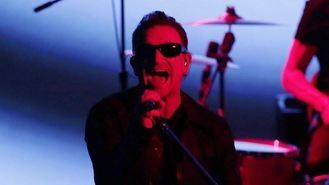 In a review of the U2 release, The Telegraph said: "At times it does sound like it is trying a bit too hard to please. But it's more pop than Pop ever was, and it certainly does the job it apparently sets out to do, delivering addictive pop rock with hooks, energy, substance and ideas that linger in the mind after you've heard them."